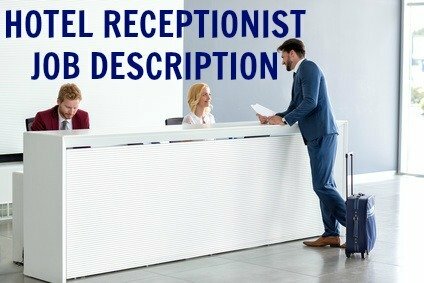 This hotel receptionist job description provides all the information you need to gain an in-depth understanding of the duties, responsibilities and skills involved in the hotel front desk position. The hotel receptionist job is often referred to as a front desk agent. Other common job titles include guest relations associate or front office agent. Regardless of the job title this hotel receptionist job description lists all the core duties and skill requirements for this position. Welcome guests, check guests in and out of the hotel, deal with guest queries, provide prompt and professional guest service to meet guest needs and ensure guest satisfaction. Adapt this hotel receptionist job description to meet your own needs. What are the duties and responsibilities of a receptionist in an office? This complete receptionist job description outlines the duties and responsibilities of a receptionist in an office setting. A comprehensive list of typical receptionist duties. Our sample receptionist resume and receptionist cover letter set you up for a successful job search. Sample receptionist resume objectives to power up your resume. Get ready to shine in your receptionist interview. 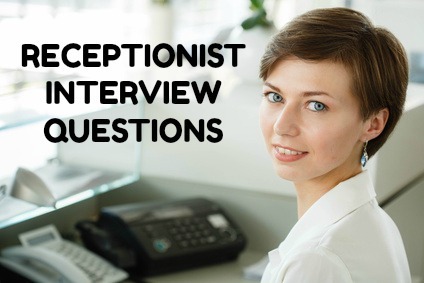 Sample receptionist interview questions with good answer guidelines.